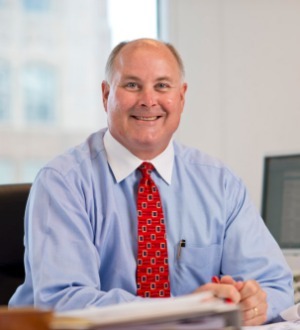 Mr. Metcalf is an accomplished construction lawyer with more than 25 years of experience successfully representing clients in all aspects of construction law and litigation. Whether dealing with the day-to-day legal issues that arise in a client’s business, or serving as an effective client advocate in the periodic disputes that clients face, Mr. Metcalf serves as both a trusted advisor and an effective litigator for his clients. Mr. Metcalf’s legal practice follows a successful ten year career in construction management where he developed an intimate knowledge of the construction industry and its practices, processes, and procedures. This practical understanding of the construction business allows Mr. Metcalf to immediately identify the concerns a client is seeking to address and get right to work addressing those concerns in an effective and efficient manner. Mr. Metcalf has first-chair experience litigating, arbitrating, and mediating all types of construction disputes and is active in state and federal trial courts in Oklahoma, Missouri and Arkansas, in arbitration and mediation throughout the Midwest, and in state and federal appellate courts in Oklahoma, Texas, the Eighth and Tenth Circuit Courts of Appeal, and in the Federal Court of Claims. Mr. Metcalf also frequently serves as an independent mediator and arbitrator, working with parties and their counsel to resolve construction and other disputes, and is a member of the American Arbitration Association Construction Industry Panel of Arbitrators. In addition, in his role as outside General Counsel for several clients, Mr. Metcalf works in partnership to promptly address the myriad business and legal issues his clients face on a day-to-day basis. In this capacity, Mr. Metcalf frequently reviews and negotiates construction contracts for project owners, contractors and subcontractors, provides legal advice regarding local, state, and federal code compliance issues, gives direction regarding claim preparation and documentation, and assists in developing pre-litigation and litigation planning and strategy when the client is represented by its insurer. Mr. Metcalf is recognized by Best Lawyers® as among the nation’s top lawyers in the areas of Construction Law and Construction Litigation, and based on his particularly high level of peer recognition has been selected as Best Lawyers® 2014 Tulsa Area Lawyer of the Year for Construction Law, and the 2016 and 2018 Tulsa Area Lawyer of the Year for Litigation-Construction. Mr. Metcalf enjoys the highest rating (AV) by Martindale-Hubbell for ethical standards and legal ability as determined by his peers and clients and has been repeatedly recognized by Super Lawyers® in the area of Construction Law and Construction Litigation. A frequent writer and speaker to lawyers and industry professionals regarding construction law and construction business topics, Mr. Metcalf is also active in the community.